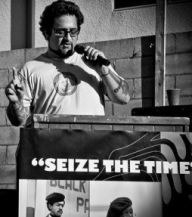 ANN ARBOR/FLINT – Socialist Party USA Presidential candidate Emidio “Mimi” Soltysik will be conducting a public speaking session at the University of Michigan’s Mason Hall (Rm. 3356) on September 14, 2016 at 6:00PM. Soltysik will be speaking and taking questions on his presidential campaign and vision for revolutionary democratic socialist alternatives. On the following date of September 15, Soltysik will be taking part in the Independent and Third Party Presidential Candidates Forum being held at the Mott Community College Event Center in Flint. The debate-style forum will be held from 3:00PM to 6:00PM, with doors open at 2:00. Both the Ann Arbor and Flint events are free to attend for all interested members of the public. Soltysik and running mate Angela Nicole Walker have been running for President and VP since October 2015 when they were nominated at Socialist Party USA’s National Convention. They will be listed on Michigan’s November ballot through the qualified ballot line of Michigan’s Natural Law Party. With interest in socialism steadily rising amid declining faith in the two-party system, Soltysik and Walker have been able to harness that energy. Through the use of social-media they have been able to manifest a powerful collective. Soltysik has been featured in the likes of VICE, Univision, CNBC and the Los Angeles Times. More information on the presidential campaign of Mimi Soltysik and Angela Walker can be found at: www.rev16.us and at facebook.com/rev2016. 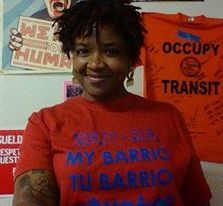 LANSING – The 2016 Socialist Party USA presidential campaign of Emidio “Mimi” Soltysik and vice presidential running mate Angela Nicole Walker will be included among the six presidential tickets appearing on Michi gan’s ballot this November. The ticket was officially added to the Michigan Secretary of State’s November general candidate listing this week, along with a clickable hyperlink to its campaign website (rev16.us). Due to the Socialist Party’s longstanding exclusion from direct access to the Michigan ballot, its Michigan state party branch has, for the past two decades, relied on qualifying its nominees through combinations of independent candidate petitions, dual party nominations, and write-in campaigns. Accordingly, the Soltysik / Walker ticket will be ballot-listed with the label of Michigan’s Natural Law Party, which has independently retained its state ballot status since its national affiliate’s 2004 disbandment. The 2016 election will be the first to include the Socialist Party’s presidential nominees on Michigan’s ballot since 2004. In the last two presidential elections of 2012 and 2008, the Socialist Party’s ticket was limited to certified write-in status in this state, amid the Michigan NLP’s nominations having then gone to the independent campaigns headed respectively by Rocky Anderson and Ralph Nader. Citing recent national poll findings that two-thirds of U.S. voters want “radical change,” Socialist Party of Michigan State Chair Matt Erard noted that the Soltysik / Walker ticket represents the only presidential campaign confronting the capitalist system as the root social force driving ever-expanding inequality, political plutocracy, environmental devastation, police and foreign-policy aggression, debt strangulation, and austerity. Uprooting capitalism, he contends, depends most critically on the working class asserting its political independence. In reference to the victory of nominal ‘socialist’ Bernie Sanders in Michigan’s presidential primary, Erard noted that every Michigan voter who sought to cast her vote against the Wall Street overclass last March is now assured a choice for political expression in November. At the same time, he argued that Sanders’ recent realignment of his ‘political revolution’ behind the neoliberal banner is a direct reflection of the Democratic Party’s essential class character. The Socialist Party’s presidential ticket will also be joined on Michigan’s November ballot by Socialist Party State House candidate Michael Anderson (www.anderson2016.spmichigan.org), who will be challenging Republican Jim Lower and Democrat Ken Hart in the 70th district—covering portions of the central region counties of Montcalm and Gratiot. In contrast to the Socialist Party’s presidential nominees, Anderson’s name will be listed on the ballot with the label of Michigan’s Green Party. An immediate 50% in the U.S. military budget, followed by further rapid cuts to less than 10% of its current funding level; Withdrawal of all U.S. troops stationed overseas and closure of all overseas bases; Abolition of the CIA; Prohibition on the manufacturing and use of weaponized and surveillance drones; Withdrawal from NATO; Support for a constitutional amendment requiring a binding vote of the people on all issues of war and military intervention; Cessation of all U.S. aid to Israel; Elimination of all U.S. military aid and arms sales; Forgiveness of all Third World debt; Withdrawal from the IMF, World Bank, WTO, and NAFTA. A maximum wage of ten times the minimum wage; Comprehensive single-payer health care for all; Tuition-free college/university education; Forgiveness of all outstanding student loan debt; Full-funding for quality childcare facilities; A 30-hour work week with no loss of pay or benefits, and six weeks annual paid vacation; 16-months paid new-parent leave; A steeply graduated income and estate tax and abolition of regressive payroll taxes; Right of retirement at age 55 with minimum 25k/yr benefits; Rent control for all existing rental units; A sliding-scale utility-fees index to ensure affordable access; A national moratorium on home foreclosures, Automatic union recognition based on card-check; Elimination of all anti-labor legislation, including restrictions on public-sector strikes, hot cargo agreements, and secondary strikes and boycotts. Publically elected and fully-empowered police oversight councils, and structural overhaul of the contemporary police force model; Decriminalization of drug-use, and amnesty for all non-violent offenders; Abolition of for-profit prisons; Abrogation of all three strikes laws; A moratorium on new prison construction; Demilitarization of U.S. borders; Full-citizenship rights upon demonstrating six-months residency; Abolition of the NSA, FBI, and Department of Homeland Security; Repeal of the USA PATRIOT and Anti-Terrorism and Effective Death Penalty acts. Free abortion on demand; A federal ban on all forms of job discrimination based on sexual orientation or gender identity; Vigorous affirmative action programs; Federal reparations for slavery, and for genocide of Native American populations; Abolition of the death penalty; Publicly financed elections; Free and equal access to mass media for all candidates; Uniform ballot-access laws for all states. Public ownership of all natural resources and energy plants; Strict carbon emission limits, and ratification of the Kyoto Protocol; Development of solar, geothermal, wind, hydropower, and biomass energy sources; Phasing out of all nuclear plants and waste incinerators; Elimination of open-pit mining, Protection of minority communities from targeting for harmful waste disposal sites and operations. The state-orchestrated poisoning of Flint’s water supply represents the latest local crisis to emerge from the ruling class’ increasing turn to colonial rule over the urban communities worst devastated by its own industrial capital migration and desertion. Concurrently with awarding over $2 billion in tax subsidies to the automaker that chopped 72,000 jobs from Fli nt’s economy, Michigan’s corporate politicians vulturistically seized upon the battered city’s revenue-stream challenges to replace the very structure of self-governance with a state-run corporate austerity regime holding total contempt for the health and well-being of the city’s disenfranchised populace. Equally as false as the water safety assurances of Snyder administration officials throughout the year and a half following the water source switch to the Flint River is any notion that Snyder and other high level officials were not long before informed of the lead contamination resulting from the expense-based decision to omit federally mandated corrosion control measures. Indeed, even more damning than either the preceding year’s span of water-safety related emails to Snyder’s top aides – or even the state’s deliberate procedure of running the tap for several minutes before collecting water samples – is the fact that, in the fall of 2014, Snyder’s Flint-installed emergency manager arranged for General Motors to obtain a special reconnection back to the Detroit water system’s Lake Huron-source on account of the Flint River water’s untenable corrosion of engine parts assembled at its Flint Engine Operations Plant. Similarly, as of January 7, 2015, the state government office building in Flint began providing coolers of purified water adjacent to each drinking fountain for state employees. In conjunction, the state’s Department of Technology, Management and Budget (DTMB) concurrently issued a notice announcing that “[t]he coolers will arrive today and will be provided as long as the public water does not meet treatment requirements.” Both the January DTMB notice and decision to rely on such a substitute commercial water source came at the very same time that state officials were insisting to Flint residents that the local tap water was safe to drink. What Snyder and company actually mean by their claimed lack of earlier knowledge about the problems with Flint’s water is that they did not know the contamination would evoke wide enough attention or concern to be the subject of a national scandal. After all, while not attributable to the water supply, children in many of Detroit’s zip codes have long tested positive for lead poisoning at far higher rates than those of Flint—with relatively little wider public outcry. In Flint, Snyder simply relied on the same assumption under which his administration has systematically opted to subject black-majority cities to emergency manager control, despite withholding the same approach to majority-white cities facing greater financial challenges. The crux of that assumption is the premise that as long as such predation and injustice is sharply racially and spatially tailored, neither the lives nor political rights of poor urban blacks matter enough for such actions to elicit large scale political consequences. Although both leading candidates for the Democratic presidential nomination have attempted to cast the Flint scandal as a solely Republican affair, the U.S. Environmental Protection Agency, led under the Obama White House, was equally complicit in its knowledge and concealment of the water contamination from very early on. Indeed, the EPA even took explicit measures to suppress the internal memo produced and internally submitted by Chicago-based EPA agent and lead-expert Miguel Del Toral, who, upon having discovered the apparent lead level spike in February, 2015, further personally verified the cause and scope of the contamination in April. Nor was Democratic complicity limited to the federal level. As revealed by the Snyder administration emails released after the story broke, “the ultimate decision” to approve the switch to the Flint River was made by then State Treasurer Andy Dillon, who, directly prior to joining the Snyder Administration as a cross-party appointee, served as the Michigan Democrats’ chosen State House Speaker. Also backing and celebrating the move was Flint’s Democratic then-Mayor, Dayne Walling, who subsequently kept his mayoral title while concurrently assuming the status of a direct full time employee of Flint’s emergency manager. Among the most astonishing revelations to surface since the news of the water crisis broke is that the change of Flint’s water source to the Flint River was not, by any stretch, a cost saving measure as Snyder and his associates had all along claimed. In fact, while the switch from the Detroit water system to the Flint River was intended to be a temporary two-year measure, pending a subsequent switch to the new Karegnondi Water Authority (KWA) pipeline upon its construction, the Detroit Water and Sewerage Department (DWSD) had offered Flint a 50% reduction on its then-existing rates, resulting in savings of $800 million over 30 years and 20% lower costs than the KWA connection. Yet, upon categorically rejecting six different DWSD proposals, Flint’s emergency manager, under control of the Governor’s office, not only switched the city water source to the Flint River, but then immediately sold a 9-mile stretch of its former DWSD pipeline to Genesee County so as to hinder any possibility of reconnection. Consequently, in light of such falsity to the entire cost-saving pretext for the decision to replace the DWSD source with the Flint River, the only probable explanation behind it is that it was intended to provoke a sudden revenue crisis for the DWSD system’s operations which would influence the then-pending approval and launch of the Great Lakes Water Authority’s corporate-modeled takeover of the DWSD infrastructure as the key step toward the Detroit water system’s privatization. Accordingly, it thus appears that cutting Flint’s municipal costs was never even a genuine factor in the equation. Rather, the real purpose of the change was to use Flint as a pawn to help instigate the release of public assets to private business interests elsewhere in the state. 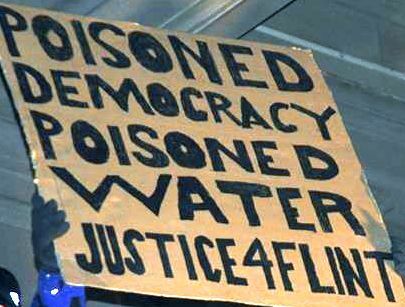 The Socialist Party of Michigan calls for the recall and criminal prosecution of Michigan Governor Rick Snyder and prosecution of all other state and federal officials who knowingly attempted to maintain or conceal the poisoning of Flint’s tap water, as well as the payment of state reparations for the tragic and irreversible harm inflicted. Additionally, we call for a massive increase in federal funding for lead removal and exposure reduction, the restoration and expansion of state municipal revenue sharing, and large scale public projects and measures to rebuild Michigan’s crumbling industrial cities —including the reopening of closed factories under social ownership and workers’ control and the enactment of a 100% capital flight tax. Most importantly, we strive to usher a new social and economic order in which human needs and democratic rights are never made subordinate to private investor and business interests. The next quarterly state membership meeting of the Socialist Party of Michigan will be held on Sunday, March 13, 2016 at 2: 00 pm. The meeting will be held via Zoom cloud video conference, accessible from any Web-connected computer or iPhone/iPad/Android device. All interested public observers are welcome to connect to the meeting and attend. 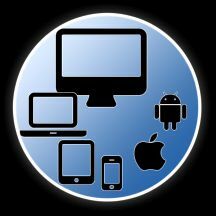 To join the meeting, click this Web link or enter Meeting ID 601-267-281 in the Zoom Cloud Conference client/app. No account is needed for access or download. Persons lacking Web-access or microphone-capability can alternatively call in to the meeting from any landline or mobile phone by dialing 1-408-638-0968 and entering the above-listed Meeting ID when prompted.